Jesus shocked His listeners by His seemingly ludicrous claim about righteousness. He argued that they needed a greater righteousness than the Scribes and Pharisees (S&P). I am not sure if Israel has crickets, but if so they could be heard after that bombshell. The righteousness Jesus speaks of is not to be equated with observance of the law. The S&P were known to seek to observe the letter of the law. By one account, Moses provided 248 commandments and 365 prohibitions, and the S&P sought to follow all of them. What kind of righteousness could supersede such observance? Initially one would think that only a law that included more commands and more prohibitions could create a superior righteousness. But, ironically, Jesus offers less commands and less prohibitions. Clearly then, the type of righteousness Jesus speaks of is different in kind and not merely degree. Luther once called the Sermon on the Mount, “Mosissimus Moses,” which means Moses multiplied to the fourth degree. In one sense this is true, but I would argue that Jesus does not one-up Moses, as though the OT law was inferior. Rather, Jesus makes clear the original intention of the law. And when He does, he reveals the hypocrisy of the human heart. The problem is not with the law but with man (just as Paul eloquently argues in Romans). 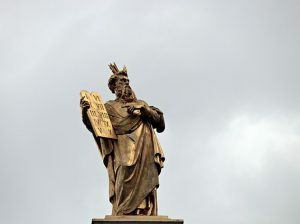 Jesus’ exposition of the law does not suggest that Moses was wrong; it rather suggests that the human sinful tendency to make the law a matter only of external adherence missed the point of the law. God cares not only for what we do, but also for why we do it. Of course, even human government (fallibly) recognizes this distinction. The man who attempts to shoot a person and succeeds only in showing his poor aim is not thereby vindicated. 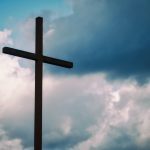 And would God’s law be less? Indeed, God’s law is more demanding than human law, for God perceives the heart. Herein lies the problem. There needs to be a new heart. Moralistic cleansing can never whiten the darkness of the human heart. 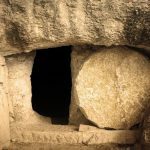 Mere external obedience to the law without internal heart-change is—to borrow an image from Jesus—to whitewash a tomb. I think this is the core reason people hate the Sermon on the Mount. It seems entirely unreasonable that Jesus would say that it is adultery to “merely” look at a woman with lustful intent. But if the standard concerns not only what we do but also what we think and why we think it, then Jesus’ command is quite reasonable. But—and here is the rub—we can’t fully control the motivations of the heart. That would be like making crimson white as snow, or like an Ethiopian changing the color of his skin. Accordingly, those who will have the kingdom will have a different righteousness than the S&P, one that is different in kind and not merely degree. Strikingly, Jesus never tells us in this sermon how to obtain this righteousness. He does indicate that the righteousness does not come by observing the law. This is clear not only from the failure of the S&P, but also because there are some in the kingdom who fail to obey the law (the least; 5:19). This latter point should not be glossed over. Jesus indicates in 5:20 that a super-righteousness is required for entrance to the kingdom, yet in v. 19 he indicates that some will break the commandments and still be in the kingdom. Accordingly, the standard cannot be the reader’s perfect adherence to the law. I think the answer to how to obtain this righteousness is not directly revealed in this sermon. The Sermon is not evangelistic. The generality of humanity is not the light of the world and salt of the earth. Only Jesus’ followers are those things. Therefore, the Sermon on the Mount is spoken to already committed disciples. Though the way to obtain this righteousness is not directly revealed, I think it is implicitly revealed. First, how can one have a super-righteousness and yet fail in some ways to follow the law? Such a righteousness must be granted and not earned. Following such a granting, one’s status (i.e., high or low position) in the kingdom is earned by faithfulness. Second, the first beatitude, with its reference to the poor in spirit, likely refers to those who see their spiritual bankruptcy, needing an external source of righteousness. In sum, the super-righteousness required in the Sermon on the Mount is Jesus’ righteousness. He does not make that explicit in the Sermon, but it is the only reasonable conclusion of his teaching. Further, this is precisely what the rest of the NT teaches.